IMS Health had a bold vision for its AppScript product, which curates health apps, devices, and content for doctors and consumers to easily find resources to suit their needs. IMS just needed an equally ambitious design to bring it to life. The results? 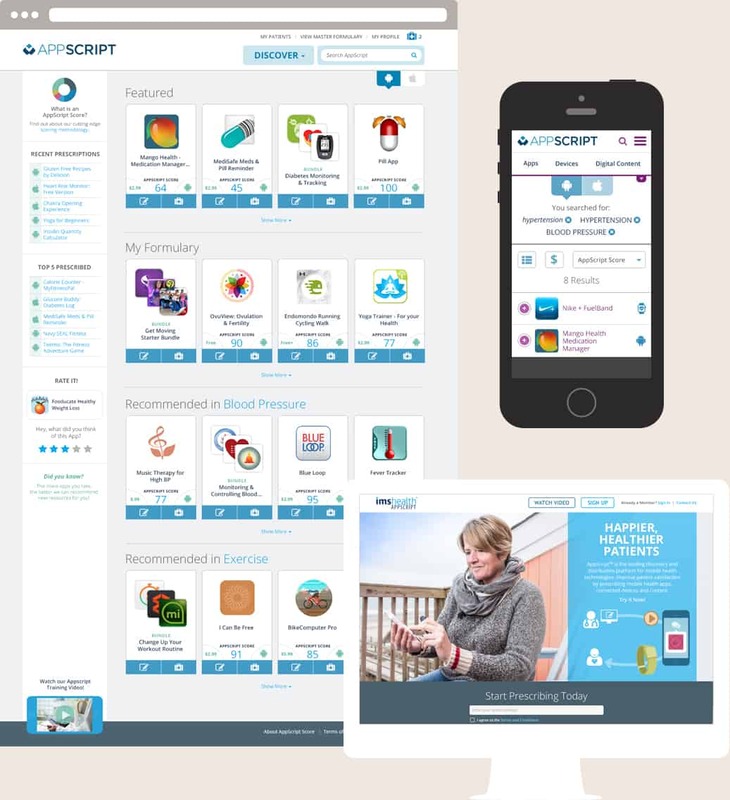 Responsive visual design ensures a clean and intuitive user experience throughout AppScript’s suite of offerings, including distinct platforms for prescribers, consumers, and administrators. Strategic brand application and marketing materials, along with a public-facing marketing website, introduce the innovative system to its various audiences.